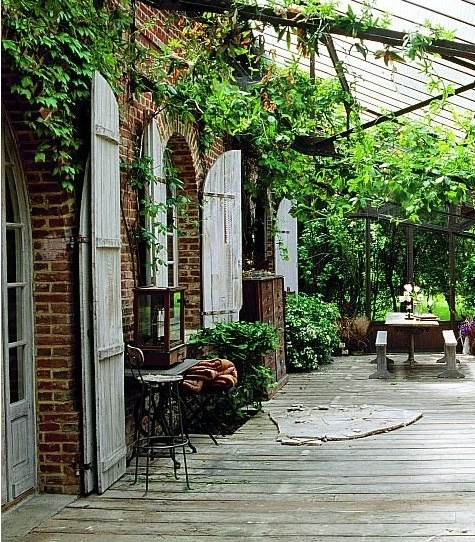 I live in the heart of Baltimore City, and I am fortunate enough to have a courtyard which I treat like another room in the house during summer… and decorate it accordingly. 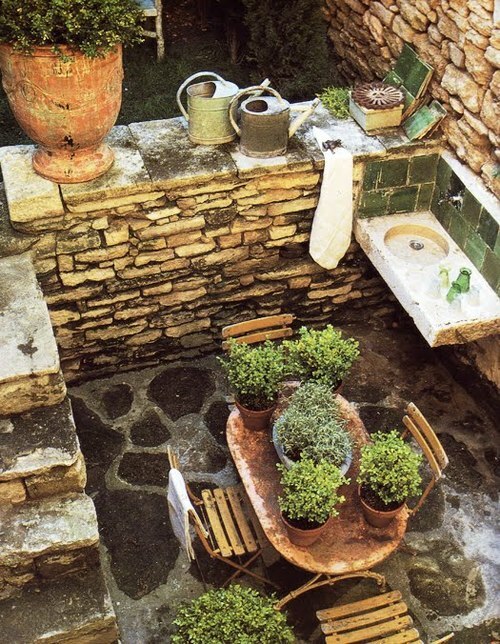 I am a huge fan of revising tradition by placing objects normally only seen indoors into the courtyard setting — like mirrors, horns, chests, carpets; even an interesting sink. 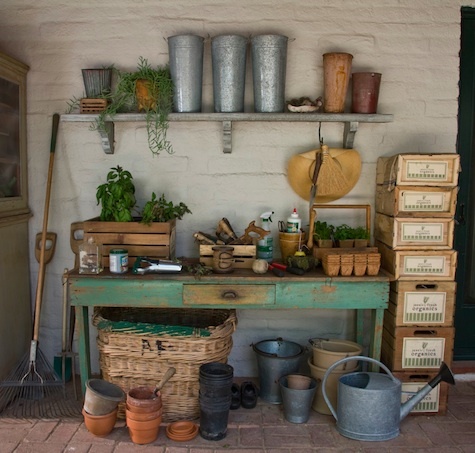 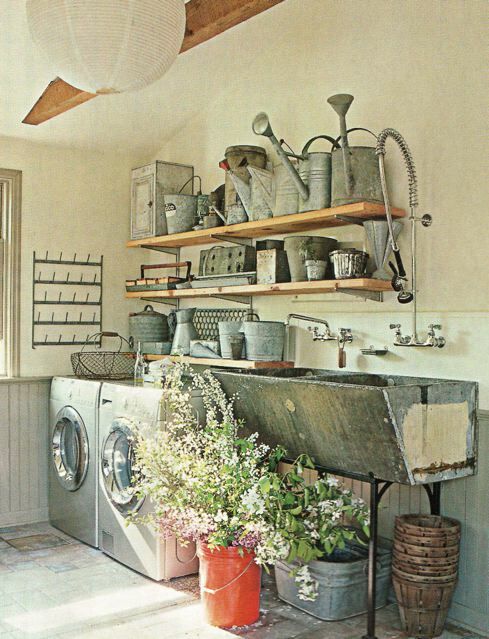 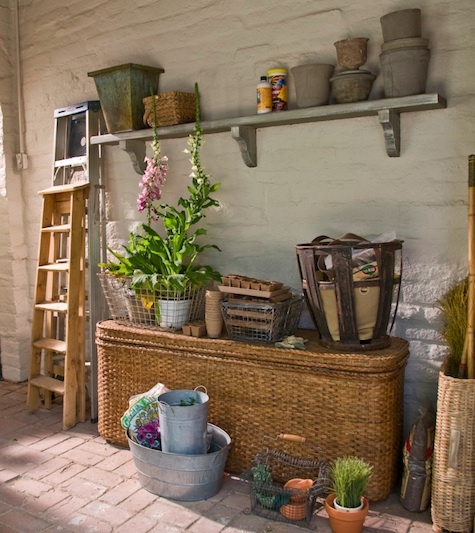 The converse is also true for the interior of any home; customary exterior items like terracotta pots and watering cans can be employed into an effective vignette, creating a new landscape and altering perspectives.